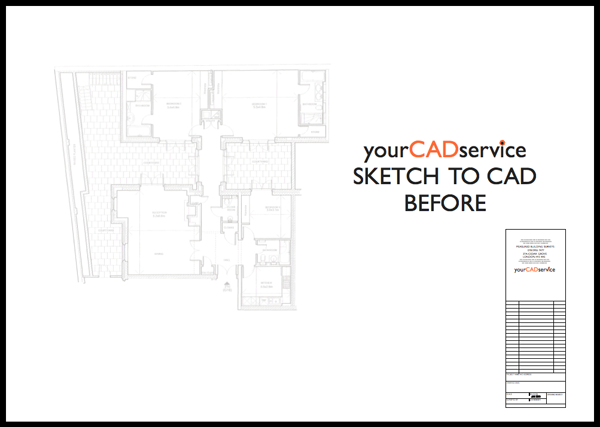 SKETCH TO CAD is your complete conversion service. 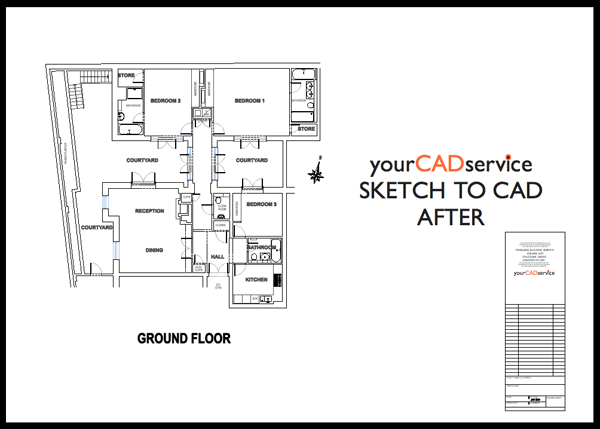 We convert your scanned paper drawings, hand-drawn, and almost any other medium into an accurate, editable CAD drawings; as if drawn by the designer, or architect themselves. We can also complete modification work in CAD to your hand drawn plans as well. We follow your exact specifications, from layers and text to symbols, titleblock, scale, hatching, custom linetypes, viewports. -No drawing is too complex or too dense. -As-builts, sketches, markups, pasteups and oversized sheets are no problem! -You can supply field notes and we can incorporate the data into the CAD files. -We can merge separate sheets into a single CAD file, with edge-to-edge matching or overlays. We can publish your drawings to a website for vendors, customers or colleagues to use. We can convert all aspects of your drawings including and not limited to images, pdfs, elevations, floor plans, electrical layouts, details, detail sheets, architectural, structural sheets and much, more. Basically anything you wish to be accurate and editable. We manually redraw the whole thing, using your layers, styles and conventions all with pinpoint accuracy and dimensioning (or ours if you don't have a preference). When we finish its an exact copy of the original, only in cad. We have numerous drafting programs if you require a different file format. Finished files are emailed as both a .dwg and a .pdf file formats. Unless you would like them in another format.